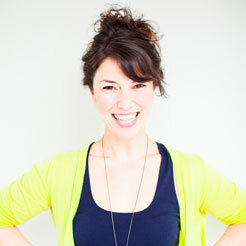 In my world, avocados are their very own food group! All year long we put them on just about anything—sandwiches, salads, toast, soups, and more (not to mention the fact that I can whip up a mean guacamole in about two minutes flat). 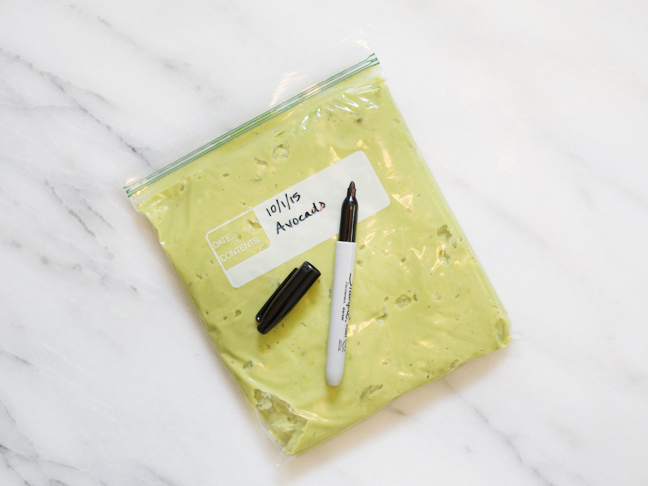 Here’s something I recently learned about my very favorite fruit: you can freeze avocados! Who knew? It just takes a teeny tiny bit of prep work, and you’ve got a little stockpile of that beautiful green goodness waiting for you in your freezer. 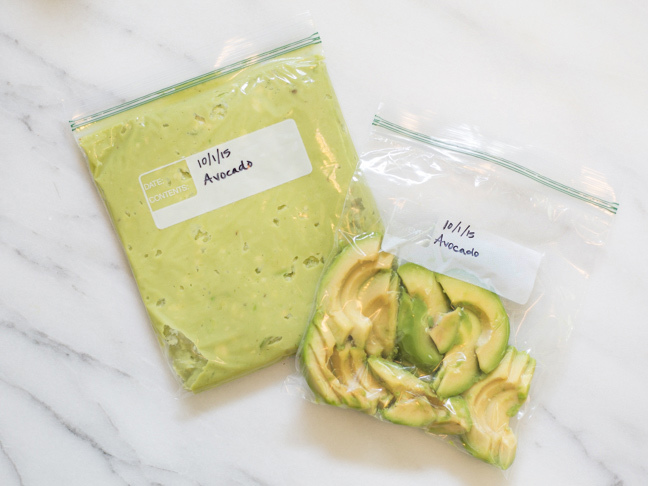 Here’s how to freeze and store avocados. 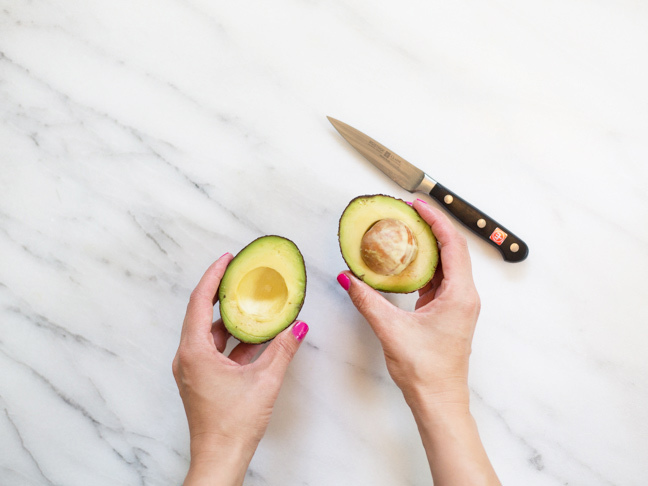 Step 1: Cut and pit your avocados. You can choose to store them in slices, in cubes, or blended. 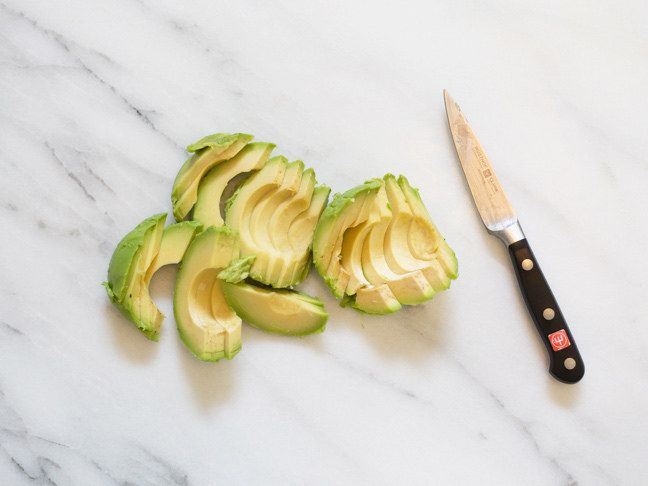 If you’re storing them sliced or cubed, cut your avocados accordingly. 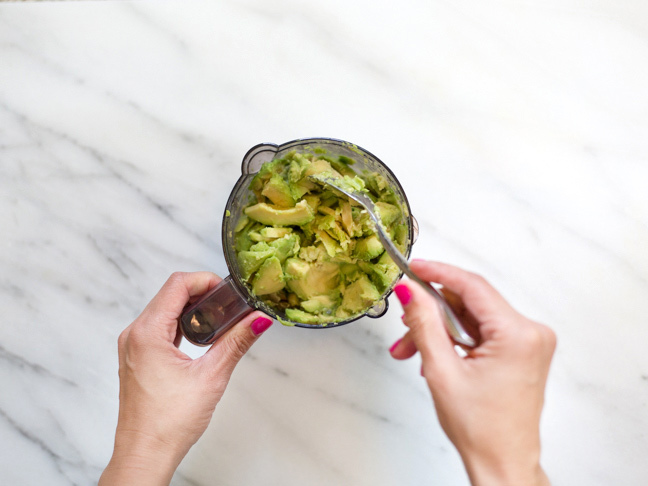 Step 2: If you’re planning on blending the avocados, place your cut up avocados in a food processor. 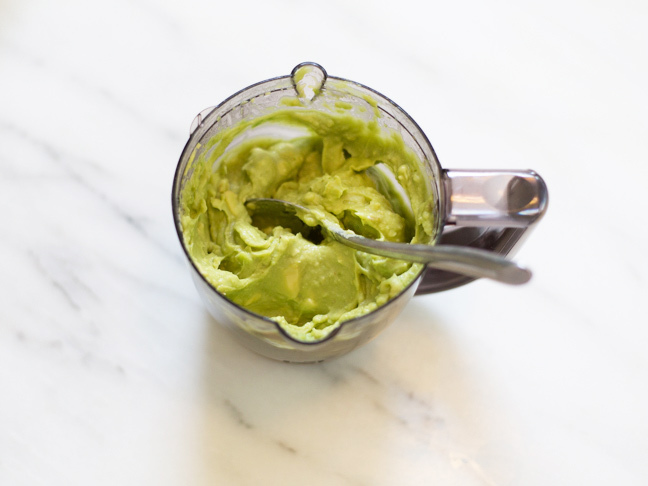 Step 3: For each avocado, add 1 tsp of lime (or lemon if you prefer) juice to the food processor. Step 4: Blend thoroughly until you have a creamy mixture. Step 5: Place the mixture in a resealable plastic baggie and label with the date. Be sure to squeeze all of the air out of the bag before you seal it. 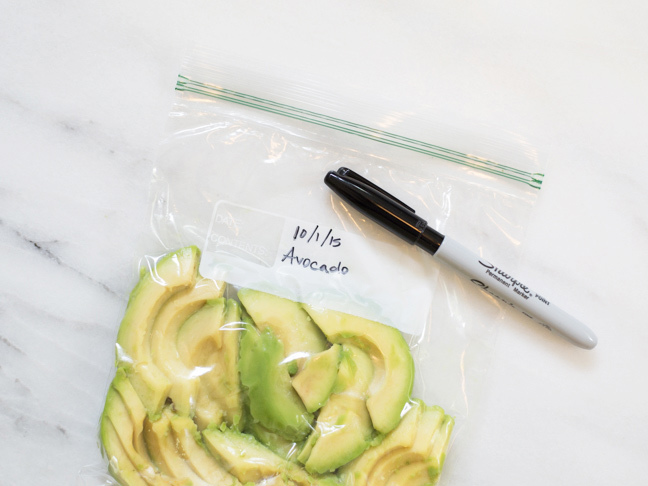 Step 6: If you’re storing in cubes or slices, place the avocado into a plastic baggie. 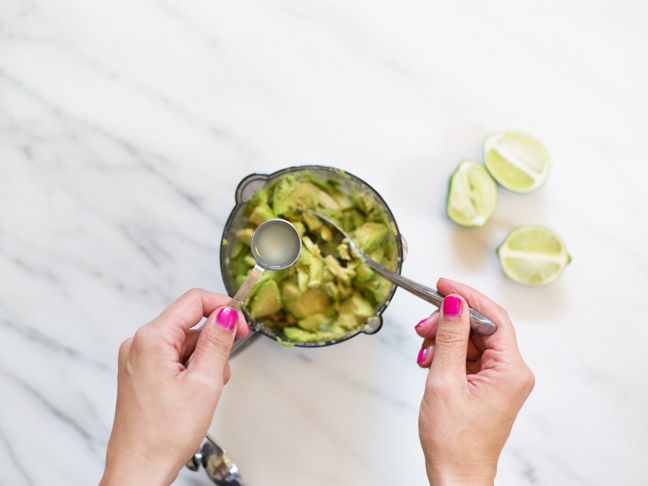 Add 1 tsp of lime for each avocado, and swirl the citrus juice around in the bag so that it coats all the pieces. Squeeze the air out of the bag, seal it, and label with the date. That’s it! To eat your frozen avos, place them in the refrigerator overnight to thaw, or thaw under warm water. 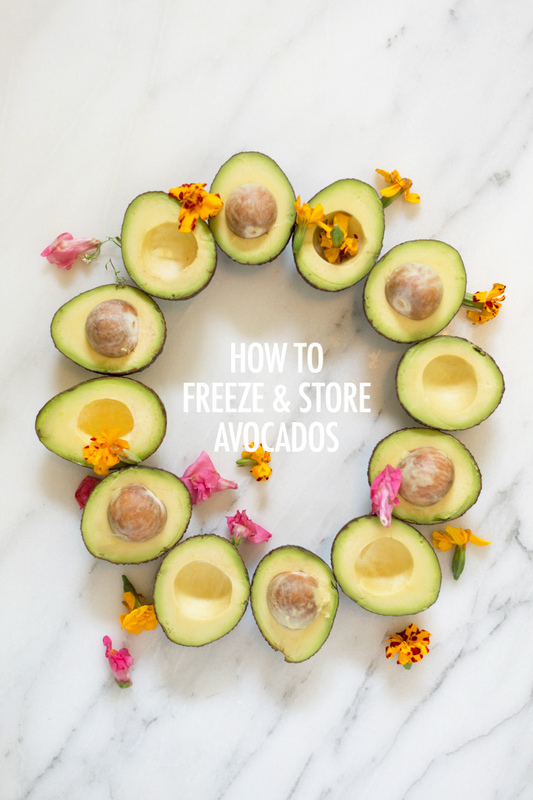 Frozen avocado is best used within three to five months of storing. 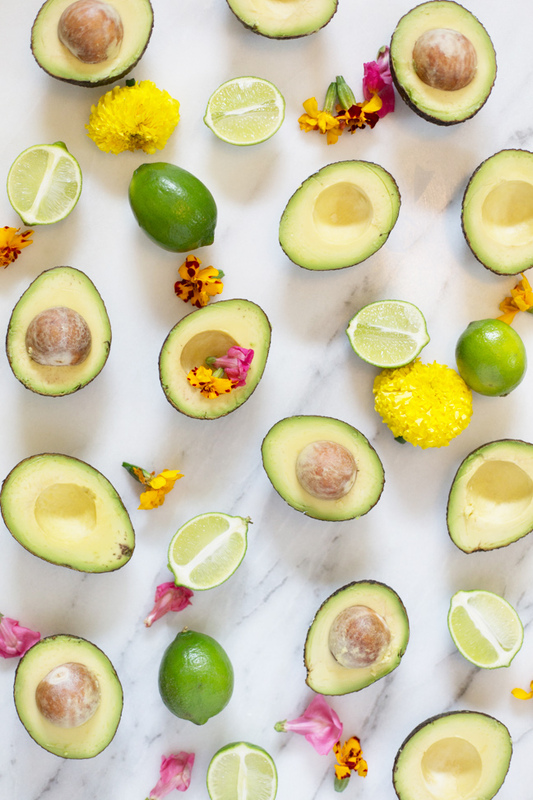 Now you’ll always have some on hand—you know, in case of an avocado emergency. You know what I always say: Stock up now, guac up later.